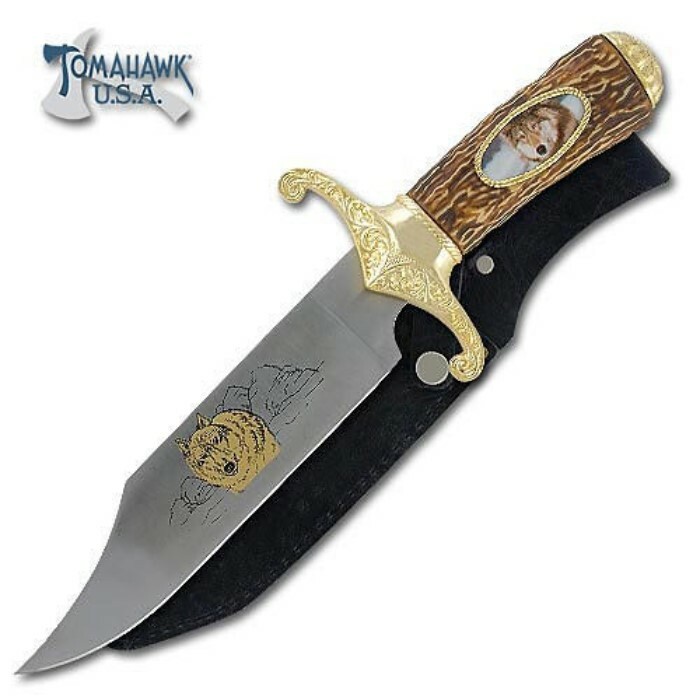 Wild Wolf Bowie Knife with Etched Blade | BUDK.com - Knives & Swords At The Lowest Prices! This traditional style Bowie knife offers a distinctive look that is sure to please the outdoorsman! The knife features a stainless steel 6 3/4" blade with an etched wild wolf accent. The custom handle features an wolf color insert and antique silver and gold plated cast metal guard and pommel. This attractive knife measures 11 7/8" overall and includes a custom sheath. Tomahawk, XL1110.